The Pros and Cons of Polymer Cases. I’ve been talking with some folks about Polymer Cased Ammunition… and I found myself defending it. Which is interesting because for all the bonus points polymer cased ammo gives you, there is one distinct drawback I’ll get to in a bit. Polymer cases give us some advantages. First off, is weight. Now I’ve read some things that say you can save as much as 60%, but I think those numbers are either bogus, or maybe only in specific calibers… I don’t know. But a more accurate figure I believe is the 40% reduction in cartridge weight. The other big advantage is in cost. Brass is expensive and the cost of that isn’t going back down anytime soon. Or ever. Brass requires a lot of work to make and shape. Brass can sometimes get short in supply, and the commodities market can fluctuate the prices. A polymer case can smooth all of those problems out. As a former Light Infantryman, I can tell you… a 40% reduction in our combat load – that’s amazing. That alone makes it work considering. That means we could be 40% lighter… which is nice. Or we could carry 40% more. Which is better. Some folks question the strength of the cases, at the case heads and rims with a pure polymer case. Valid concerns. An Extractor could more easily tear through the rim instead of pulling the case out. On the other hand, a polymer case would be less likely to be stuck in the chamber and thus would always be easier to get extracted than a hot expanded brass case that’s now fire-formed to the chamber. 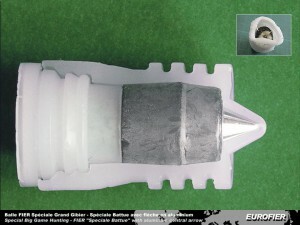 An alternative to the polymer case head – is to use a polymer case body, but with a Brass, Steel, or Aluminum case head. A two part case has been proven to be very reliable in Shotguns. Because almost all shotgun shells are using a two part case. How often do you ever see or even hear about a case head separation in shotgun shells? Even back when the hulls were paper, you didn’t hear of it. Ever. You just didn’t. Some guys argue that rifle and pistol cartridges operate under much higher pressures than shotgun, so this would remain a bad idea. Those guys don’t understand the Internal Ballistics. See, all that pressure isn’t contained in the case. It’s contained in the Chamber. See, we even have caseless ammunition and that stuff works without exploding the action. Manually cycled repeaters will have had all the internal pressure dropped off to nothing before you open the chamber to cycle the action. Automatic firearms all have mechanisms built in to allow the reduction in chamber pressure before the action starts to open. This is for the most part, a non-issue. We see case failures mainly because of a couple reasons. One being incorrect headspacing in the firearm. And two, cases that had been reloaded too many times at high pressure, causing the metal to become brittle, or thinned out due to metal flowing. A rifle case gets longer when it’s fired. This is why Reloaders have to use something called a Case Trimmer… Metal flows, gets trimmed, case walls get thinner. This is a Material Science issue that Polymer could resolve. Polymer is elastic so it can move, and then return to shape in exactly the same way metal doesn’t. No, those are not the problems with polymer cased ammunition… The real problem with polymer cased ammunition is heat. But not for the reasons your thinking. 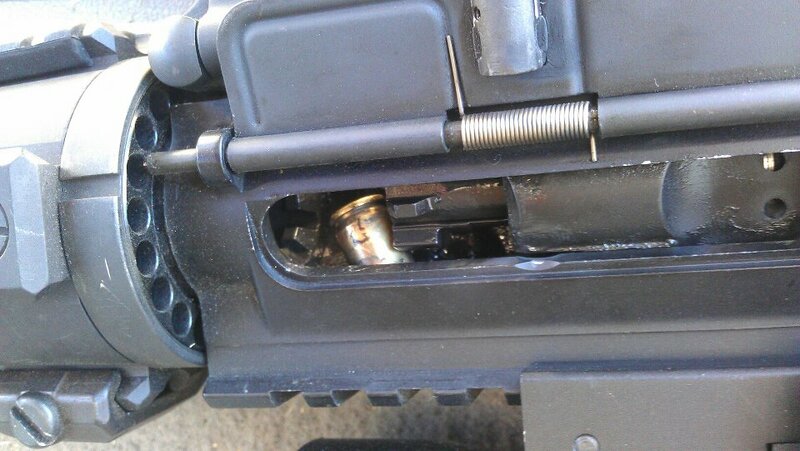 You’re thinking a plastic cased round could melt into the chamber and cause a serious stoppage. That’s not the problem. Let me explain this… We’ve got a thermal dynamic issue here. When a cartridge is fired, there is more than just pressure that is created. There is heat. A lot of heat. The brass case will absorb some of that heat, and some of it will be conducted into the chamber walls. And then upon extraction, some of that heat is pulled back out of the chamber and ejected with the empty case. With a polymer case, the heat is insulated from the chamber. At first, we might think that’s a good thing. Keeps the chamber cooler. At first it does. But remember, energy can not be created or destroyed… it can only be contained or directed. And with an ammunition cartridge being fired – it’s obviously directed. This puts all that thermal energy at the case mouth. Here’s what’s going to happen… we’re going to have a problem. Increased Throat Erosion is going to be a problem, exacerbated by differential heating. Especially in M-16 or other MSR type guns which are often taken from stone cold, to red hot in the matter of a moment. All that heat hits the throat first and then radiates back to the chamber. Over time, this differential heating will cause problems. Though these problems will not develop quickly… but I do foresee them developing over time. Much like the point of impact shifts in Ruger Mini-14’s as those barrels heat. And eventually there could be fracturing. With brass cases, the chamber and bore will heat up more evenly and we don’t get any differential problems. To counter these problems the firearms will need to be manufactured with high quality materials and will need to be made to high standards. Many guns we use now, will have no problems. But the cheaper guns will become even… cheaper. So… don’t use a lot of polymer cased ammo in cheap guns. 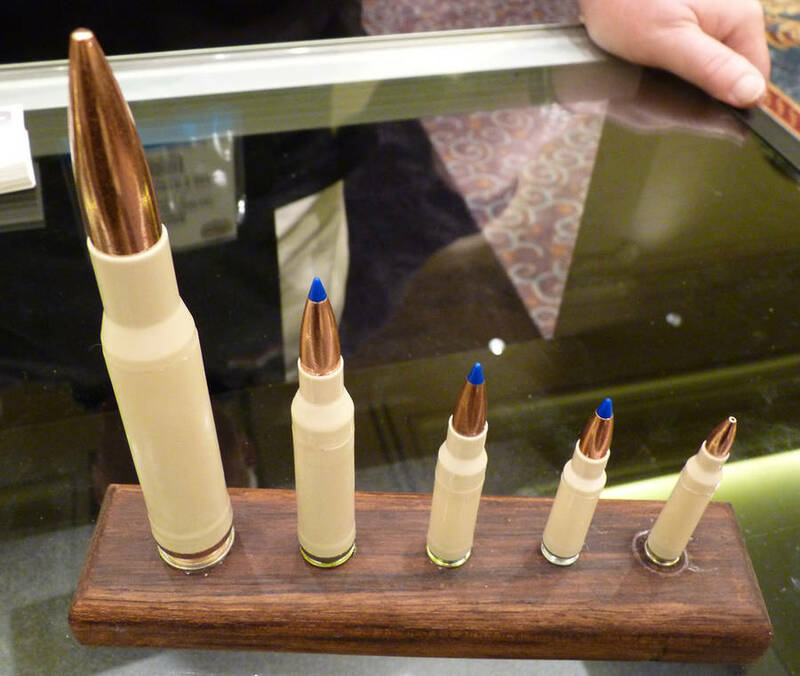 Here’s the thing though… I think polymer cased ammunition is the way of the future. It’s advantages far outweigh the minor disadvantage. Again, the main advantages are reduced weight and cost. And I think the most key advantage is cost. Ammunition cost remain the #1 Stranglehold on the shooting sports. Ammo is expensive and makes shooting an expensive hobby, thus limiting it. None of us shoot as much as we want. None of us are really shooting what we want. Cost of ammunition effects our choices on calibers and the guns to shoot them. In one particular article, a number of top instructors picked their favorite calibers and almost all of them mentioned ammunition cost as an important factor in their selection. I wonder if their selections would have been different if the costs were different. Hmmm. And how different would our own choices be? What guns in what calibers would you be shooting if ammunition costs were different? How would this effect the gun industry as a whole? I think it would help the whole industry. But that’s just me. At our last Tactical Carbine class, one of the student’s AR’s went down. Hard. Here’s what it looked like. SPORTS, TAP RACK BANG… Did nothing. Try to guess what happened before you click for more. I talk about this with customers and knowledge seekers all the time. Caliber is a question that really doesn’t make such a huge difference as most cartridges are throwing the lead in a similar trajectory until you get into some extreme differences. So your old .30-06 vs .270 question is moot. 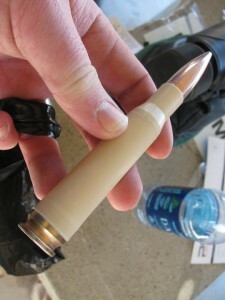 Most guys get the bigger caliber and then shoot the cheapest bullets through it. This is not advisable. Your bullet selection plays an important, critical part. Because the rifle doesn’t make the kill. The bullet does. You need to match the bullet to what you want to kill with it. I often get emails asking about what loads to use in what guns… Handguns and Rifles. There is a lot of considerations for what load to shoot, and often the load selection is even more important than the choice of platform to launch it from. For handguns, I generally like to go Light for Caliber. Picking the lighter load options rather than the more popular heavy options. Reason being, I like velocity in my handguns, which often provides more hydrodynamic reaction that gives more consistent bullet expansion. Take the lightest options, try them, and only go heavier if accuracy is suffering in the light loads. I’ve found that quite often the light to medium shoot the more accurate than the heavier loads, but every gun is different and yours might be different, so you have to try it all out for yourself. Now, for Rifles… I like the Medium to Heavy bullets for caliber because the heavier ones tend to offer then higher ballistic coefficient numbers that I want for longer range shots. This is just the way I roll… it’s what works for me… Your mileage may differ. I found this on Facebook from one of my Foreign Friends. It’s a 12 gauge slug of an unusual design. 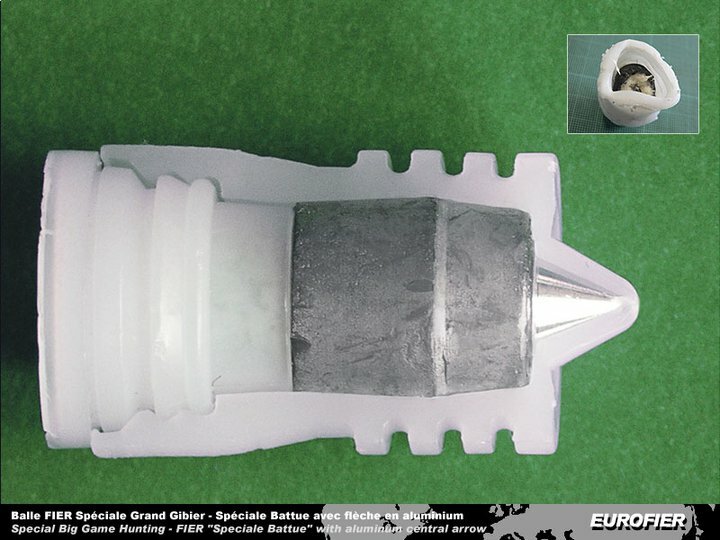 It’s a Sabot type, but looks like it would be stable out of a smooth bore. The slug is aluminum but can be made of steel for greater penetration. I'll take a case of this stuff.